Owners Alexandre Drouard and Samuel Nahon deal directly with organic farmers and line/trolling fishermen to stock their grocery in the 2nd arrondissement. 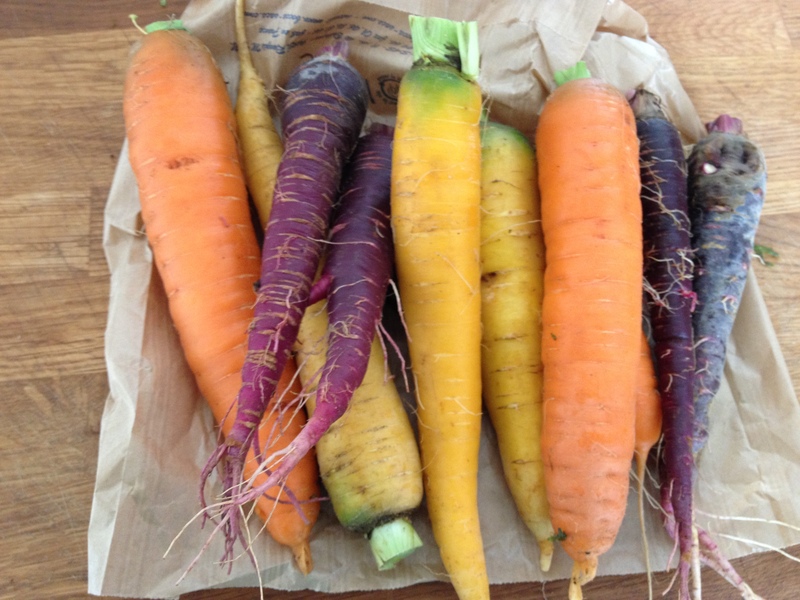 This beautiful image of the carrots I bought from them this morning is undoctored. They really are that beautiful. Published: September 19, 2013 Dimensions: 3264 × 2448 Posted in: Kitchen Gallery Post a comment or leave a trackback: Trackback URL.